As the factory-authorized training provider for Sikorsky since 1983, FlightSafety offers type-specific training on the Sikorsky S-92 model. Our highly qualified and experienced instructors, advanced-technology flight simulators, aircraft maintenance trainers and integrated training systems help ensure proficiency and safety. Sikorsky S-92 pilot training is available in Lafayette, Louisiana; West Palm Beach, Florida; London Farnborough, United Kingdom; and Stavanger, Norway. Maintenance training is available at West Palm Beach, Florida. FlightSafety enjoys a strong relationship with Sikorsky as the factory-authorized training source for pilots and maintenance technicians. We are dedicated to keeping our instruction accurate and up-to-date with comprehensive, professional training on Sikorsky S-92 helicopters. FlightSafety pioneered FAA Level D full flight simulation for helicopters. The VITAL X visual system creates realistic displays that offer a 220×60-degree vertical field of view and an endless selection of weather conditions and locations. Combined with audio, the experience gives the pilot realistic physical sensations that warrant Level D certification from the FAA. S-92 operators now have the option of training on a new, cutting-edge full flight simulator in Stavanger, Norway. 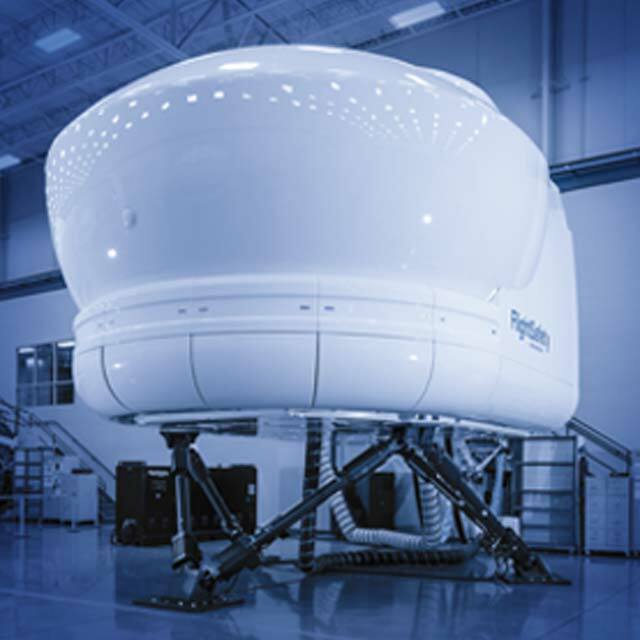 The Sikorsky-approved S-92 Level D full flight simulator features next generation rigid mirror and electric motion systems. The simulator is available for dry lease. Contact our London Farnborough Training Center for details. FlightSafety’s long-term agreement and close working relationship with Sikorsky provide Customers with the most current and comprehensive training available, ensuring access to the latest technical information and service bulletins. Our S-92 simulators feature scenario-based training that includes offshore, database and Customer specific heliports. The simulators realistically duplicate environments, allowing pilots to experience situations that would be too dangerous, too impractical or impossible to practice in an aircraft. This includes major systems failures and heavy icing or power loss under hot and high conditions. FlightSafety has developed training manuals, schematic breakouts and checklists that enhance learning and serve as reference materials. The West Palm Beach Learning Center’s maintenance programs offer a full range of hands-on courses that feature aircraft maintenance trainers and specialized tools. Interactive training makes up nearly 50 percent of the instruction in many Sikorsky maintenance technician courses. The use of official Sikorsky manuals ensures training closely replicates the tools and resources available to technicians in the field. FlightSafety’s MATRIX system is used for both pilot and maintenance training.